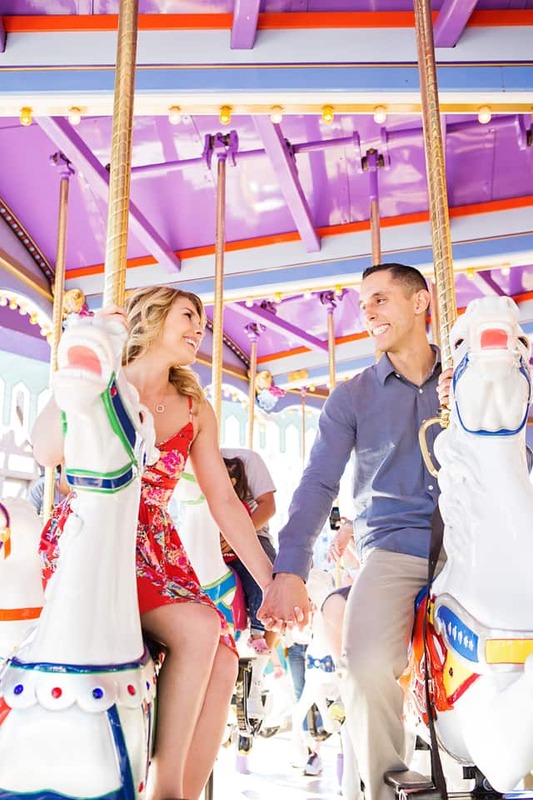 From classic Disney lovers to pampered pairs to adventure enthusiasts, a Disney Honeymoon is the ideal getaway for any couple. Find out which honeymoon perfectly pairs with your newlywed personality below! After getting engaged did you rush to grab a pair of Mickey Mouse bridal ears? If so, you'll love spending marital bliss at Disney Parks. You may have visited a few times before but you've never experienced this special kind of magic. Discover Disney Parks in a whole new way with a ring on your finger- plus, a newlywed glow goes perfectly with a dole whip. Sail away from the mainland to newlywed paradise. Disney Cruise Line has everything shipboard romantics need- sunshine filled decks, scuba diving excursions at Disney's Private Island Castaway Cay and adult exclusive dining. Sun and sand never looked so good. Who says an adventurous excursion can't be luxurious? Sail on an unbelievably romantic river cruise or travel to far away lands with Adventures By Disney. You'll enjoy an amazing global adventure with fine dining and expert tour guides but without the hassle of having to worry about the planing details. Just you, your loved one, the ocean breeze and a long day of pampering....you had me at aloha. Aulani, A Disney Resort & Spa has the only outdoor hydrotherapy garden on the island which you definitely won't want to miss. Get ready to Immerse yourself in the Hawaiian culture because this getaway has paradise written all over it. The best part of a Disney Honeymoon is that each location offers a mix of relaxation, adventure and of course Disney magic- so you may want to mix a few of your personalities to create the honeymoon of your dreams Start planning your dream Disney honeymoon today and discover why it's everything you never knew you always needed.